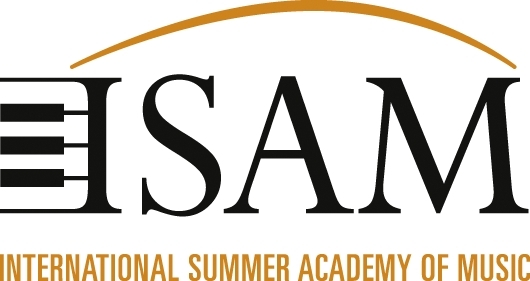 ISAM’s two-week summer music academy deepens musical skills and expands musical horizons through high quality workshops, seminars, lectures, concerts and competitions, aimed at selected young and gifted musicians from across the globe. The prestigious summer instituation was founded in 2005, and since 2010 has been located in the Landesmusikakademie Baden-Württemberg in Ochsenhausen, Germany. The hallmarks of the Academy's training program are daily individual lessons and numerous performance opportunities, culminating in a competition for the pianists, composers and organists. The international jury is comprised of the faculty and distinguished visiting artisits. Prizes and scholarships are being awarded in each of the three categories. Tuition fees for the daily lessons, all semimars and workshops, as well as the competition. An additional Registration Fee of €144 is charged of all participants upon acceptance to ISAM, in order to ensure full participation. Entrants wishing to apply to ISAM, should fill in the application form (please click here). All applicants will be notified as to acceptance no later than May 24.